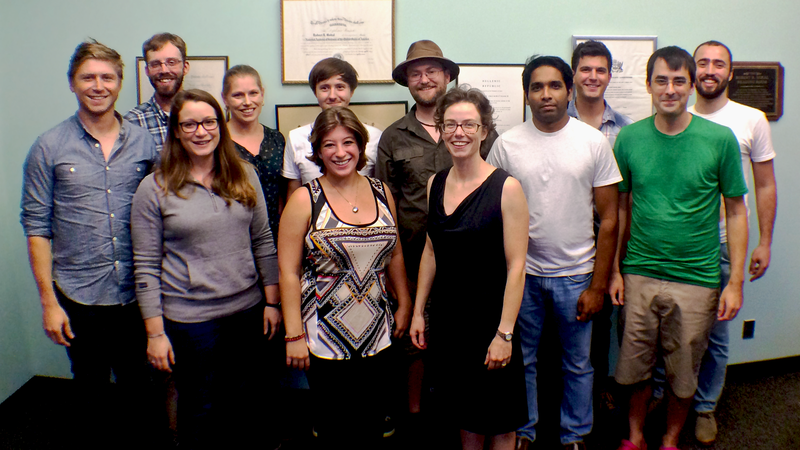 New lab photo (and some alliteration) with new additions to the lab. Ph.D. Candidate Phil McDowall was one of only two recipients of the 2015 Young Researcher Award from the Institute for Advanced Computational Science (IACS) at Stony Brook University. Phil was awarded this prize for his research regarding spatiotemporal dynamics and coloniality in Antarctic penguins. The IACS supports computationally intensive work such as Phil’s, providing access to resources and technologies that might otherwise not be available to researchers. A massive congratulations to Phil!